Air Temperature Service LLC is proud to serve the Grafton community! Please call us today at 508-839-6006 to consult with our home comfort specialist. 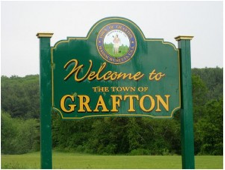 About Grafton, MA - Happy to be your hometown Heating & Air Conditioning Contractor! Grafton, MA is a city located in Worcester County, Massachusetts. The population according to the 2010 census was 17,765, and the city was first incorporated in 1735. The city was a major contributor in the progress and success of the American Industrial Revolution in the late 1700s, and it was named for Charles FitzRoy, the 2nd Duke of Grafton who ran a gun factory in the city in the early 1800s. The city is part of a continental climate that includes warm and humid summers with winters that typically see snow, wind, and cold temperatures. There are a variety of attractions available for Grafton visitors and residents. The Grafton Historical Society was incorporated in 1964 to preserve and collect historical objects of Grafton. The Grafton Flea Market is a unique flea market that offers visitors bargains on thousands of items in an indoor and outdoor setting. Art enthusiasts may also enjoy viewing the exhibits at the Worcester Art Museum.